St. Catherine’s Vocational School is a non-denominational, co-educational second level school located in the fishing port of Killybegs. The school meets the needs of the local community through the range of programmes on offer. 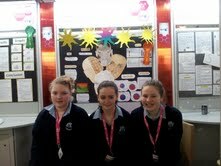 Iontráil ó Ghairmscoil Naomh Caitríona ag Taispeántas Eolaí Óg BT | Entry from St.Catherine’s VS to BT Young Scientist Exhibition. 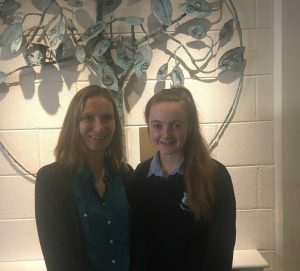 “Retrotones” ag ionadú do Ghairmscoil Naomh Caitríona. |”Retrotones” to represent St.Catherine’s. Duaiseanna ó Seamus Coleman. | Prizes sponsored by Seamus Coleman.